Jon and I are drawn to places which may not be on too many people’s radars. 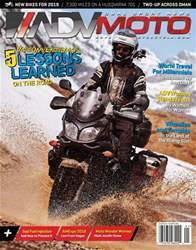 Last December we took the opportunity to ride a KTM 1190 Adventure R, two-up, into Oman. This often-overlooked country sitting in the corner of the Arabian Peninsula defies all expectations. It’s Arab, multicultural, Ibadi Muslim, the region’s peace haven, and an absolute monarchy, where people genuinely love their ruler. Once a sprawling empire with the capital in Zanzibar and spanning from Pakistan to East Africa, modern Oman has shrunk to a fraction of its former size. 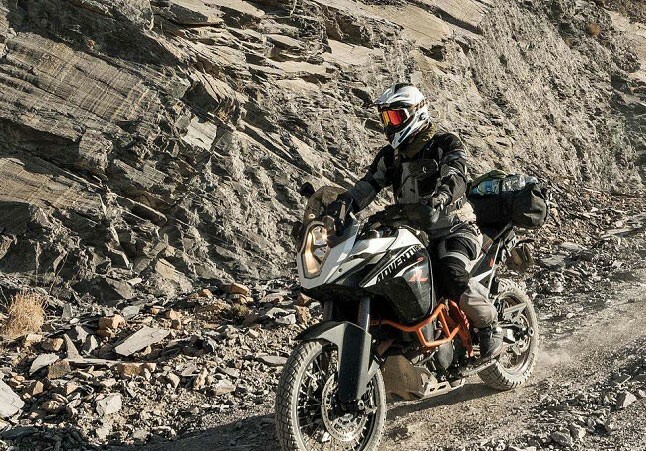 The KTM was waiting for us in the kingdom’s capital, Muscat. We arrived there after a flight to Dubai and another six hours by bus. Muscat is an ancient city dating back to around 6,000 BCE, so we devoted some time to a stroll in the Mutrah souq, sipping chai on the elegant Corniche, and a visit to Sultan Qaboos Palace and the Grand Mosque.